I need help creating a [powershell] script that can uninstall silently MS Visio all versions from Win 7 computers. Hi Shaun. Thank you very much for the reply. I already had this script, which works in Win 10 but not Win 7. Any clues why? 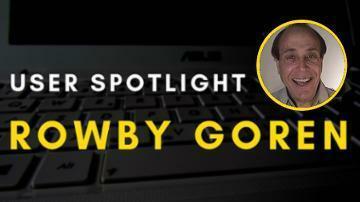 Learn about longtime user Rowby Goren and his great contributions to the site. We explore his method for posing questions that are likely to yield a solution, and take a look at how his career transformed from a Hollywood writer to a website entrepreneur. Do you mean use Powershell v5+ to write the script? Or Powershell v5+ needs to be installed on the target PC? Thank you very much fop the reply. Hi Shaun, I have the version 5.1 on my Win 10 computer, so I would need to install it on the Win 7 computers as well for the uninstall routine to work? Are you running script remotely or executing it on remote computers via GPO etc?